AMD's Radeon HD 7700 series graphics cards are here, so what better way to celebrate the launch than to give you the opportunity to win one of two Sapphire cards? 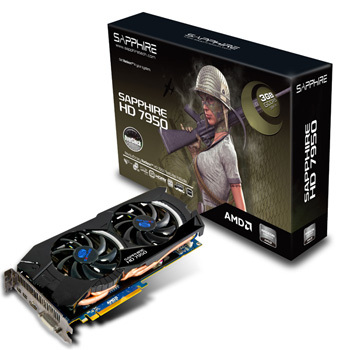 The award-winning manufacturer is known to produce some of the very best AMD graphics cards, and the two on offer today look set to continue that trend! 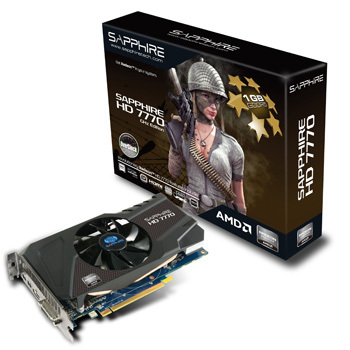 Our first prize is a Sapphire HD 7950 OC, which takes AMD's Tahiti Pro processor and overclocks it to a mighty-healthy 900MHz! And, if that weren't enough, we've also got a great runner-up prize in the form of a Sapphire Radeon HD 7770 OC, which features a Cape Verde XT processor overclocked to a blazing 1,150MHz. So many great competitions lately.